We offer Hydraulic SMC Moulding Press that are specially designed for optimum production of simple and intricate molding of Bakelite, Malamine, DMC/SMC with ejection facility. Our SMC Moulding Press can be availed in fully automatic and semi-automatic models. The soft opening just after the curning point helps in avoiding jerk movements. Our Hydraulic SMC moulding presses are available with electric heaters and control panels backed by a digital temperature controller. These SMC Moulding Press and Hydraulic SMC Moulding Press are highly productive, durable and can be availed in capacities ranging from 30 ton to 4000 ton as per the requirements. » Hydraulic SMC Moulding Press is available upto 4000 Ton Capacity as per the Customer Requirements. » Hydraulic SMC Moulding Press are available in Pillar / Gate / H-Frame Type. 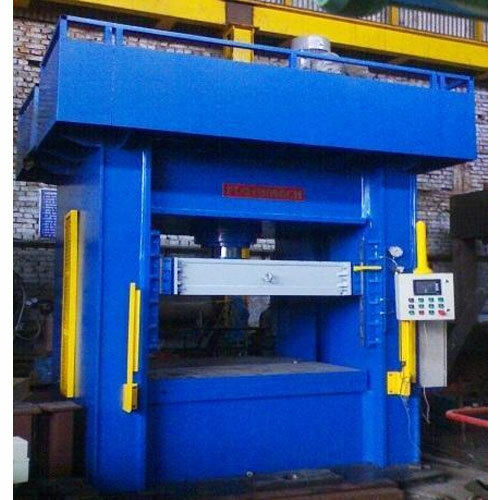 » Click here to Request a Quotation for Hydraulic Press over & above the specified capacity.